“Today, when scientific and economic experts agree that the ocean needs our help more than ever, this executive order signed by the President takes us in the wrong direction. All of us depend on a healthy global ocean for our survival. The oxygen we breathe and the food we eat come from the ocean. “But with the stroke of a pen, we’ve taken a huge step backward from a proud 40 year history of U.S. global leadership in ocean conservation. With bipartisan support, scientific input and broad community participation, we have safeguarded ocean ecosystems that produce significant environmental and economic benefits for society. Marine sanctuaries and other protected areas drive coastal tourism and support healthy fisheries, and generate more than $8 billion for the nation each year. Yet, worldwide, just a tiny fraction of the ocean is protected in any way. “At a time of rapid global change, we need more protection for ocean resources – not less. I’m, proud to stand with West Coast governors who are acting together to prevent the threats from disastrous offshore oil spills, and to pursue a clean energy future. “Californians know all too well the high price society pays for spills and other disasters that accompany oil and gas development in sensitive coastal waters. That’s why California has championed clean energy, sustainable business practices, and coastal protection – and seen its economy thrive. 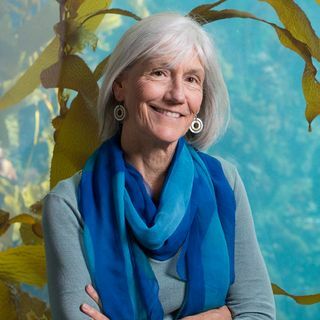 “Californians across the board also care about our ocean wildlife, including the whales and marine mammals that make our state such an inspiring place to live, and that serve as magnet for tourism and growth. International media have celebrated the recovery of our whales, sea otter and other ocean animals – further driving tourism and the economic benefits it brings. Seismic exploration for oil and gas could endanger their populations, and our economic future – which is why Californians have opposed these activities. “The National Marine Sanctuary program, like our national park system, represents one of our nation’s finest achievements. Today’s executive order undermines fundamental ocean protections, and has the potential to set the U.S. back decades from the smart, science-based management approach we’ve embraced since the 1970s. “The executive order reverses decades of progress our nation has made to secure our ocean resources. And it exposes vital coastal ecosystems, from the Atlantic to the Arctic, and along the Pacific Coast, to the threat of devastating oil spills. More information is available on our Conservation and Science web pages, and our Future of the Ocean blog.